We open our doors on March 7th 2017, a year ago, and we couldn’t be happier with how everything has turned out. We are humbled and grateful for all the support we’ve received so far. No doubt we have a long journey ahead of us, however, we are very excited to learn more from everyone in our community and can’t wait to support individuals on their journey of transformations and self discovery. As a token of our appreciation, for a limited time only, we have two amazing offers that we believe will help you continue on your wellness journey. 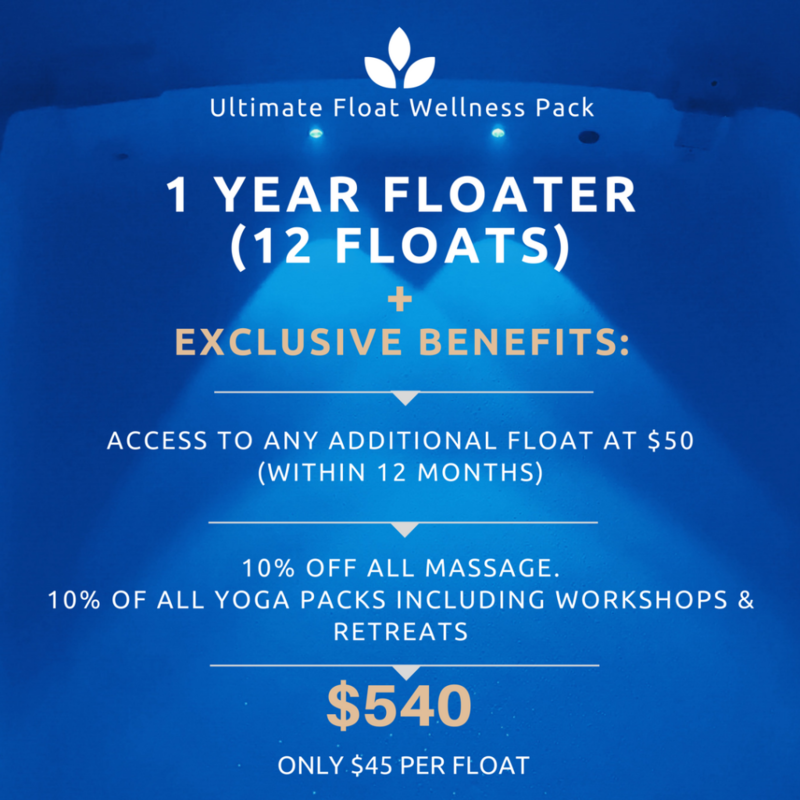 We have an “Ultimate Yoga Wellness Pack” and an “Ultimate Float Wellness Pack” that will have you well set up for the year ahead. PRICE VALID UNTIL 16/3/17 11.59PM AEST. * EXCLUSIVE First-Access & Advanced notice to all Liquid Room Workshops, Retreats AND Live events. BEFORE they go LIVE to the public! 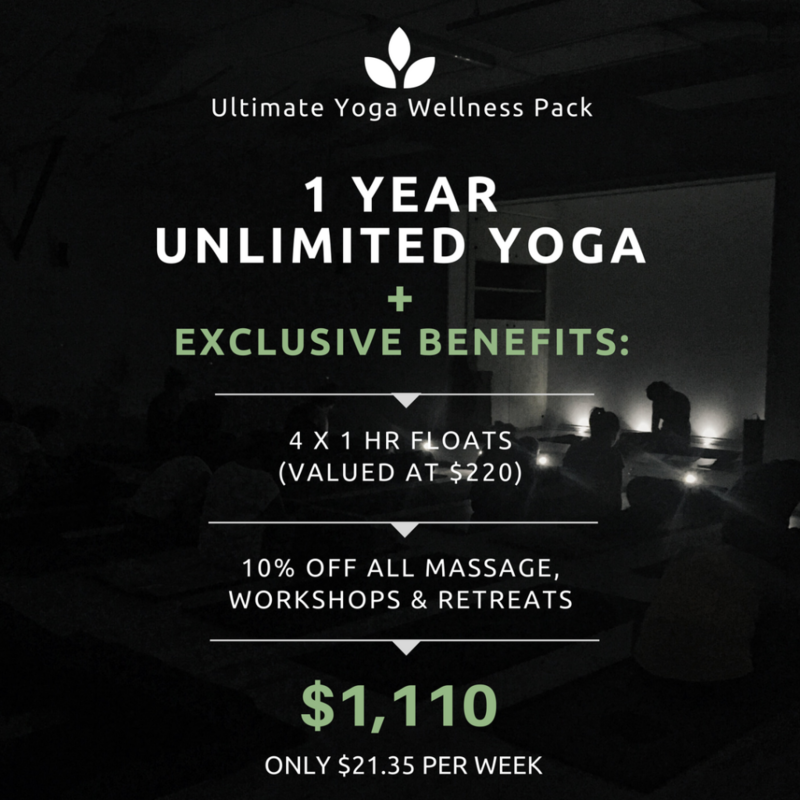 * Anyone currently on a 12 months unlimited yoga pack wishes to upgrade to this pack, please don’t hesitate to contact us at 03 95989313. *12 Floats to be used 12 months within the date of purchase. Additional floats to be purchased and used within 12 months from the date of the “1 Year Floater” Pack purchase. Single person use only and not shareable with another member.